Photo by Tania Van den Berghen, Pixabay. 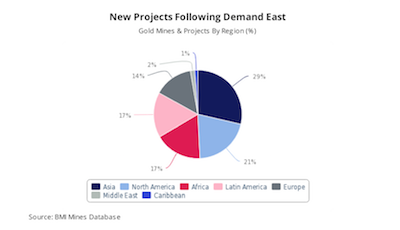 A report by BMI Research states that global gold mine output growth will pick up in the next few years, supported by higher gold prices and solid projects in key countries. “We forecast global gold production to increase from 105moz in 2018 to 125moz by 2026, averaging 2.3% annual growth. While a steady pace of growth, this represents a slight deceleration in growth rate compared with the previous eight-year average of 3.1%,” the firm says. For short-term prices, BMI predicts that they will continue to head higher, averaging $1,300/oz in 2018. 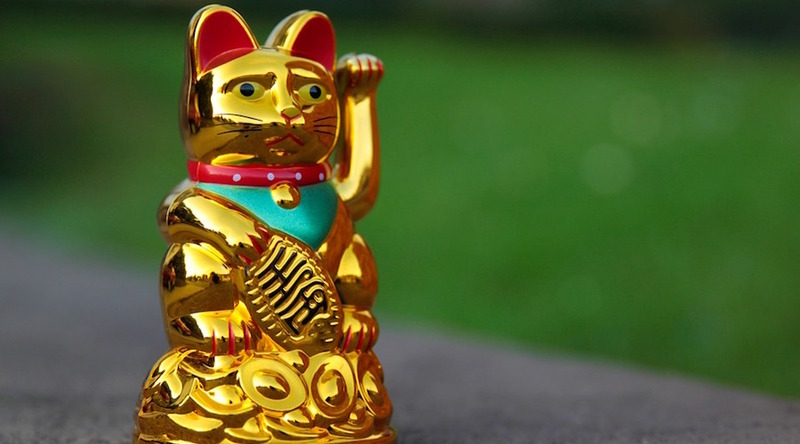 As with many metals, Chinese deals lead gold’s performance when it comes to production and price. According to the business intelligence company, major firms hailing from the Asian giant will ramp up investment in foreign gold mines, as the country’s gold demand growth far outpaces that of production which, BMI says, will stagnate over the coming years at around 16.5moz. “In 2016, the Asia Pacific region accounted for 44.7% of global gold mining merger and acquisition activity,” BMI estimates, while highlighting that some of the major transactions were carried out by Chinese conglomerate Fosun International, who invested $890 million for an initial 10% stake in Russian gold producer Polyus Gold, as well as Shandong Gold, who purchased a 50% stake in the Veladero mine in Argentina from Barrick Gold for $960 million while committing to advance exploration activities in the area. Back in 2016, state-owned China National Gold Group paid $300 million for the purchase of the Jinfeng gold mine from Eldorado Gold, while Indonesian firm PT Amman Mineral International paid $1.3 billion purchase of Newmont Mining's Indonesian assets, including the country's second largest copper-gold mine, Batu Hijau. Australia is another big player in this game. Gold production Down Under is expected to grow, as higher gold prices increase miners’ profit margins and a weaker Australian dollar fosters mine expansions and increased exploration activities by both top and junior miners. The research firm hints to the performance of Newmont Mining Corp (NYSE:NEM), as the key driver of Australia’s positive outlook. The world’s 2nd largest gold miner expects 2017 production at Australian operations to be 1.5-1.7moz, with total spending between $205-240 million. “We forecast Australia’s gold output to increase from 10.5moz in 2018 to 13.2moz by 2026, averaging 3.1% annual growth and remaining the second largest global gold producer by a significant margin,” BMI states. The firm sees modest production growth for Russia’s gold industry, while the U.S. gold sector will see steady production growth supported by rising prices and the fact that federal deregulation under the Trump administration will prompt project development and relax environmental requirements.